Get pumped! 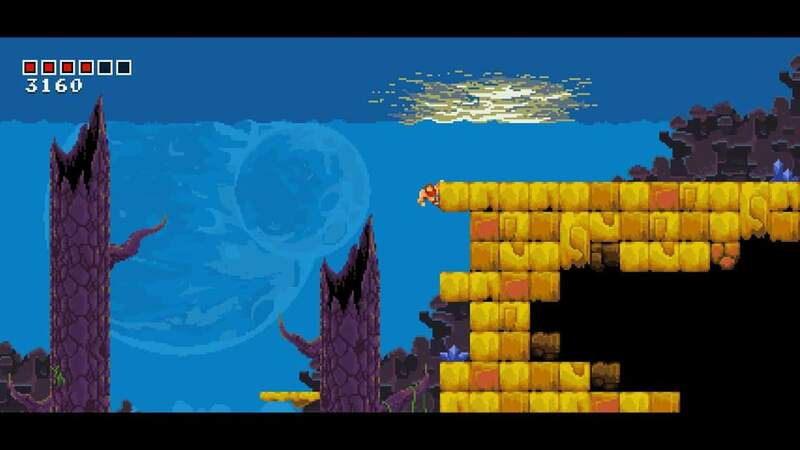 That's exactly what you'll find yourself doing as soon as the amazing soundtrack to this frantic action platformer that really harkens back to the glory days of Ninja Gaiden starts off . 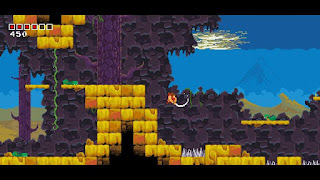 Fast paced action, swooping eagles, and satisfyingly precise platforming. They're all here. 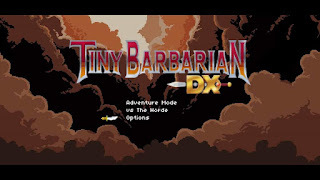 Tiny Barbarian DX is no-nonsense. Two buttons- one for jumping, and one for swinging your sword. It's a simple game, but it provides hours of addictive gameplay, and leaves you wondering why it can sometimes be so difficult for long time veterans to deliver such a neat package with so much to work with. In addition to the pulse pounding action, you can bring a friend along for some good old fashioned two player action that is identical to the single player experience, but with the added benefit of another sword to help strategize your way through the beautiful levels. A highly recommended experience for all comers that is available on the eShop, but is best purchased physically for the gorgeous artwork that harkens back to eighties fantasy games and beautifully illustrated manual and other goodies provided by Nicalis.